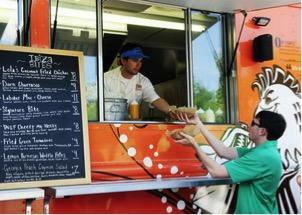 Food trucks are in, and the fun, new dining trend has rolled into Dunwoody at Brook Run Park. 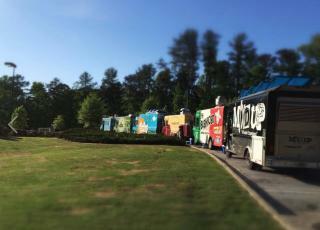 If you’re looking to try out the trend or find new places to eat, Food Truck Thursdays are for you. 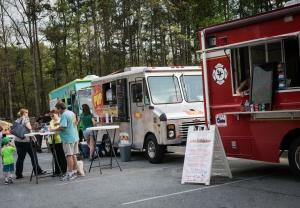 Each Thursday from April 7 to October 27, food trucks ranging in options from barbecue, Mexican fare and even Vietnamese cuisine will set up shop at Brook Run Park. The food trucks are accompanied by live music, free prizes and children’s activities- providing the perfect atmosphere for a family outing. In between taking bites of yummy food and listening to local bands, the park also offers a Skate Park, community garden and two children’s playgrounds leaving no shortage of things to see and do on Thursday nights in Dunwoody! 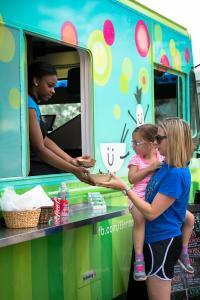 Dunwoody’s Food Truck Thursdays will begin at 5 pm and run until dark. Outside of food and drink purchases, there is no admission fee to attend thanks to the Dunwoody Homeowners Association, Redbird Events and the City of Dunwoody!